Kingston Resources Limited (ASX:KSN) is pleased to report that it has located a large near-surface stockpile of gold mineralised material at its Misima Gold Project in PNG. The material was mined by previous operator, Canada’s Placer Dome, but never processed. This stockpile is not accounted for in the current 2.8Moz gold Resource at the project and historic records suggest potential remains for further gold stockpiles to be found. A LiDAR (Light Detection and Ranging) survey confirmed the location and provided a highly accurate and detailed model of the surface terrain which assisted in identifying historical mining topography, current and historic artisanal mining, as well as identifying potential geological features and determining water drainage patterns. This information will assist and enhance the broader drilling and exploration program. 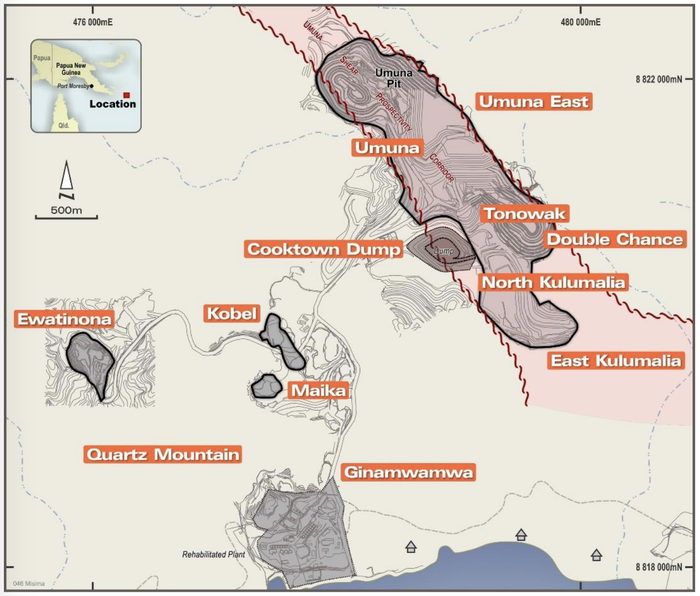 The stockpile of mineralised material left in place by Placer has been confirmed at the Cooktown Dump, a large area adjacent to the Tonowak Pit reported to contain 3.6Mt of low-grade material averaging 0.5 to 0.7g/t gold. When the mine was active, Placer’s economic cut-off was 0.7g/t gold for mill feed. Lower grade material in the range 0.5 to 0.7g/t gold, was stockpiled. So while the grade of the Cooktown Dump is modest, it represents loose rock, at surface and close to the likely location of a future processing plant. All of these factors reduce mining and processing costs. By calculating the volume of the Cooktown Dump LiDAR model and cross referencing this against Placer’s Mine Closure Plan and survey files from 2000 to 2004, the Company has set an exploration target for the dump of 3.6Mt @ 0.5g/t to 0.7g/t gold for 58,000 to 81,000oz. 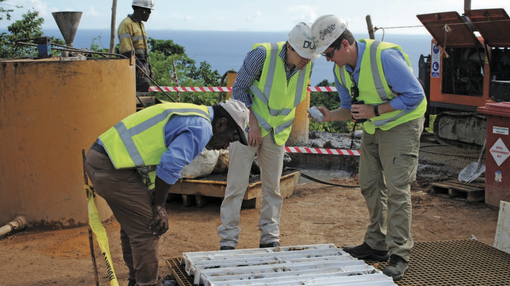 The company’s exploration strategy is now firmly focused on discovering and defining near surface satellite mineralisation at prospects including Ginamwamwa, Quartz Mountain, and Ara Creek. Adding near-surface resources is likely to enhance the economic potential of any possible future mining operation. The close proximity and minimal mining costs of this stockpile make it an excellent early feed source to any future development plan.